We have just initiated the new concept in our website after receiving too many Guest Post Requests. We have started “Write for Us” service for all Guest Bloggers & Writers who have desires for publishing their posts/articles on CatchUpdates.com. 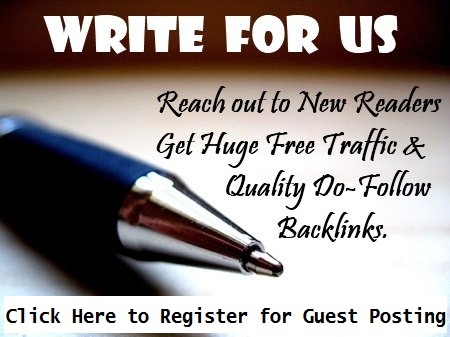 We are accepting unique and quality guest posts from real blog owners. If you are an Internet marketer or any type of link builder and looking for paid posts, please drop an email to admin@catchupdates.com for further details. CatchUpdates.com provide articles on various following articles. 1) CatchUpdates.com has many subscribers that can provide your post a great exposure to all the subscribers in a single click. 2) You will get exposure when we publish your post on CatchUpdates.com and get Recognition, Traffic, and Backlinks. 3) SEO Benefits, Social Media Exposure your article will be shared on various Social Networking sites like Facebook, Twitter, Google +, LinkedIn and much more. 1) The Article must be minimum 1500+ words in full details as “Half Knowledge is always Dangerous” We accept quality post only. 5) When your article published, give the response to comments. This is very helpful for getting exposure. 9) Once Published in CatchUpdates.com, You cannot publish Post/article in any other blog or website. Link Policy: You can add up to 2 links in your profile section. One of these links can be for your website home page and another could be for your profile on social media such as Google Plus, Twitter, Facebook, and Linkedin etc.These two links will be shown towards the end of your guest post. No self-promotional links in the guest post body. Registration will be based on the above information provided by you. Once you are successfully registered, Password will be sent to your email. You can change your password after this. So what you are waiting for? Write for us and get maximum exposure 🙂 If you have any queries, email us at admin@catchupdates.com. We will make sure you have all your queries solved.